Engage your body, your desires, and your obstacles as the fuel for spiritual insight. "Within my body are all the sacred places of the world," the Buddhist saint Saraha once said, "and the most profound pilgrimage that I can ever make is within my own body." For 15 centuries, the realized masters of the tantric path used the crucible of their own lives to develop a powerful and accelerated means to enlightenment. Today, these teachings remain alive within the usually hidden inner courtyard of the Vajrayana vehicle of Tibetan Buddhism, a tradition that requires the courage to engage your body, your human desires, and your most challenging life obstacles as the basic fuel for insight. 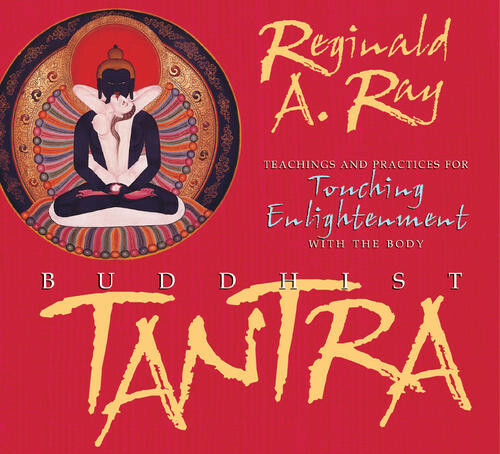 Now, with Buddhist Tantra, esteemed teacher Reggie Ray introduces you to these precious teachings, and invites you to explore the path to naked and unprecedented experience. The popular or exoteric teachings of Buddhism are known to many, yet its esoteric teachings remain relatively unknown in the West. If you have been seeking a gateway to this potent tradition, Buddhist Tantra is an unsurpassed opportunity to enter into the temple of its deepest truths. The word "tantra" means "to weave through," a metaphor that points to the vibrant fabric of intelligent and living energies that make up the essence of every cell of your body, every fleeting thought you have, and every particle of the universe. Entering this undefiled and ever-renewing vajra world is the promise of the tantric path.